Summer is fast approaching, and I’m in the mood for lighter, healthier foods. 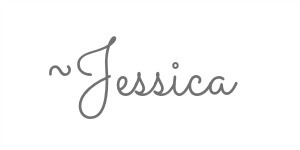 After eating somewhat heavy foods all winter long, I’m ready for some light and quick meals. 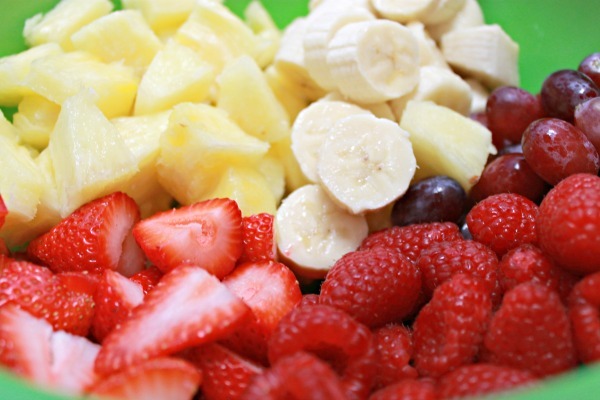 One of our family favorites is this fruit salad recipe! It can be eaten alone or as a side with any meal…heck, you can even eat it for breakfast…it’s that good! 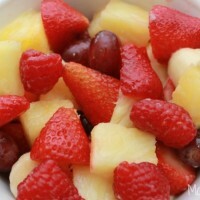 We call it sunshine fruit salad, and you will know why soon! 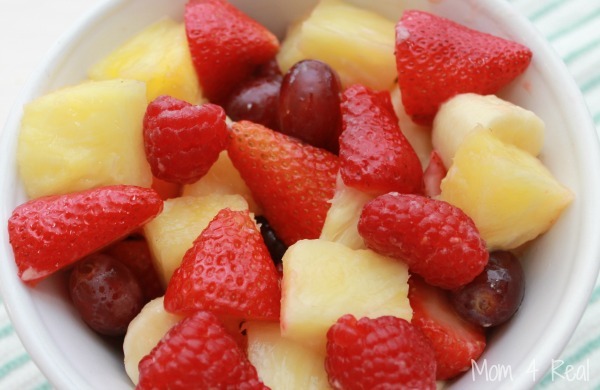 Fresh and light fruit salad with a twist! 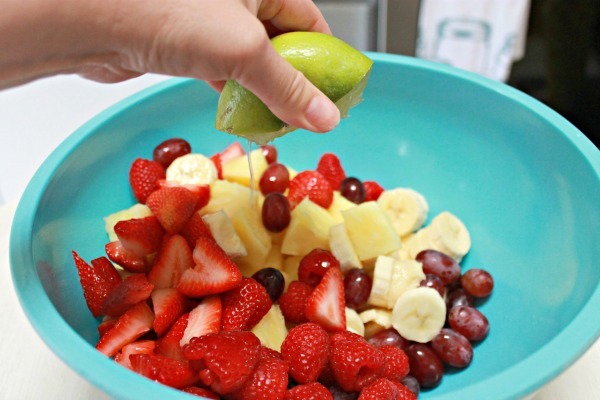 Cut all fruits to relatively the same size and add to a large bowl. Add lime juice and orange juice. Fold the ingredients together so that the juices all cover the fruit…this will keep some of the more delicate fruits from browning. Store in a container in the refrigerator for up to 3 days. The lime gives it a fresh kick! 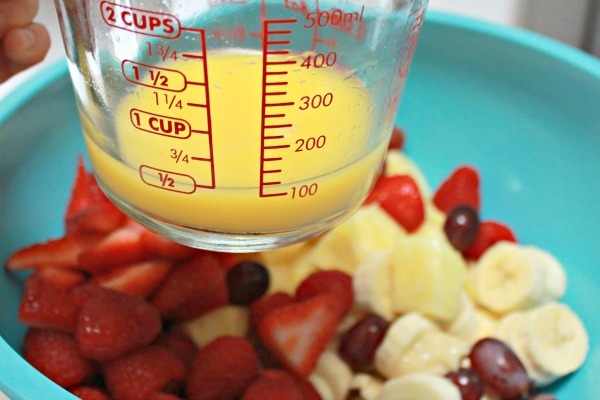 The orange juice keeps the bananas from browning and just punches up the flavor a bit! Be sure to fold the fruit together instead of stirring hard so you don’t beat up the raspberries! 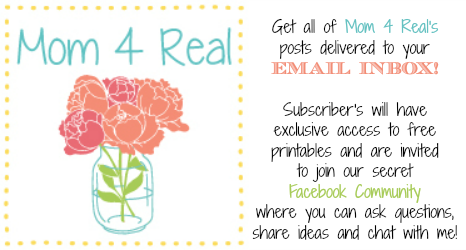 Be sure to pin the photo below to your favorite Pinterest Recipe Board! Doesn’t it look delish! This will become a quick family favorite…my kids ask for it all the time. In fact, Kate usually makes it herself. She loves to take it to school in her lunch box, then usually eats more as soon as she gets home! 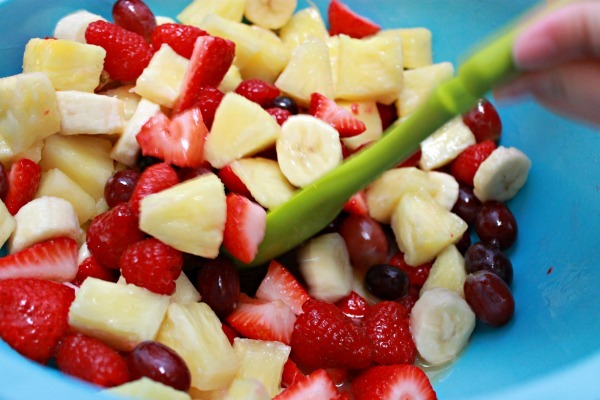 The great thing about this fruit salad is that you can add or omit whatever fruits you like. Sometimes I add mango, blueberries and blackberries, depending on what fresh fruits are in season and available at the grocery store! 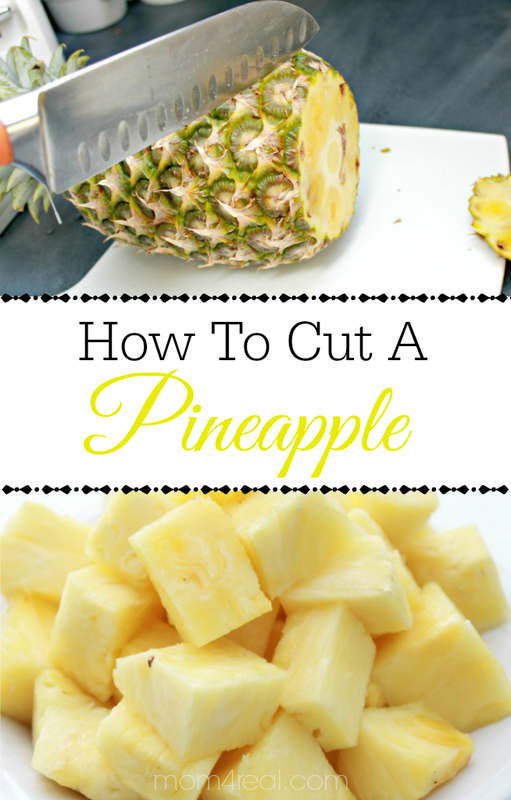 You can learn How To Cut A Fresh Pineapple HERE!